Персонаж - Spectre. Очки: 8/11. Здоровье: 8. 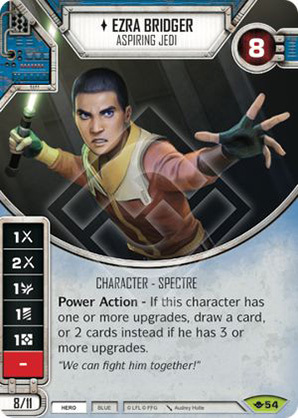 Power Action - If this character has one or more upgrades, draw a card, or 2 cards instead if he has 3 or more upgrades. "We can fight him together!" Way of the Force #54.